Stop Kiss is an award-winning drama about an unexpected romance between two young women, whose romance is shattered when an assault leaves one in a coma. The other is left to piece together the story of their friendship. This story of charmingly unfocused Callie and her friendship with Sara, a schoolteacher from St. Louis, is an affectionate work, with a blithe sense of comedy. It resonates with the universal themes of love and commitment. 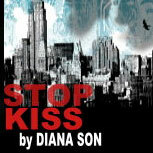 Stop Kiss involves strong adult themes and adult language. It is not suitable for young children. 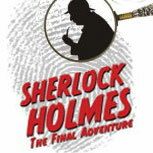 Could this be Sherlock Holmes' final case? Could the logical, thoroughly dispassionate detective who has survived poison, pistols, and other precarious perils actually be laid low by his love for a woman? The villainous and diabolical Professor Moriarty thinks so. And despite the best efforts of Holmes and his loyal sidekick Dr. Watson, Moriarty may just be right. No matter how it turns out, this classic Holmes adventure, full of suspense and the great detective's wry wit will keep you on the edge of your seat until the very end. Winner of the 2007 Edgar Allan Poe Award for Best Mystery Play. 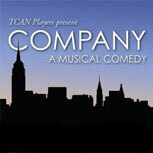 Company is a funny, sophisticated exploration of love and commitment. As seen through the eyes of a charming, confirmed bachelor questioning his single state and his enthusiastically married, slightly envious friends (who are trying their best to relieve him of his bachelorhood), Company looks at love and marriage from all angles. With a wise and witty Stephen Sondheim score including "Another Hundred People," "Side by Side by Side," "The Ladies Who Lunch" and "Being Alive," Company offers musical comedy at its finest. This promises to be an evening filled with love, laughter, and great music. Winner of the 1971 Tony Awards for Best Musical, Best Score, Best Lyrics, and Best Book of a Musical.